I completely agree! im sure he will come back. What is frustrating me is that I don't understand why the fans of Kenny on this forum… more can just openly admit he died instead of justifying it in their heads that he some how survived. Kenny fans say it with me : Kenny should have died. So I have read through this whole forum and I see that the vast majority of Kenny supporters are in denial. Thats perfectly fine I a… moreccept that. I mean I think we have thought up every single possible story in which Kenny miraculously evaded 25+ zombies and more coming while being cornered in with no room for escape. By that logic however, Ill say it : Ben is still alive. Saying ben is alive is just as ridiculous as saying Kenny survived. The whole point of an opinion is to have someone challenge it. If opinions are never challenged, then opinions are never wrong. Flog this is one of my biggest points in my counter point to Kennys survival. Kenny, as you or someone else mentioned, could have EA… moreSILY shot Ben and run up the ladder to go with Lee. EASILY. Instead he wanted to go out as a hero seeing as if this may be his last shot. He locked himself in and said "You know its just something I gotta do." So what these Kenny supporters are saying is that he magically had a change of heart and decided to escape last second after shooting Ben. Kenny knew he was going to die. He accepted it. What? lol. When did I say I didn't like Kenny? I liked Kenny, I thought he provided a great character. I would love to see him return. However he shouldn't return because he had no chance of surviving what so ever. Im pretty sure every single user of this forum has played through Season 1 and knows what is going on. There are some good theories out there. I am convinced that he is dead in the Ben scenario, but in the Christa scenario, I think it's more likely he could escape the building (with a little luck) then use the sewers to avoid the lurkers on the streets and escapes Savannah. Actually as I said he could have shot Ben and left with Lee. Clearly, and I say clearly because I assume everyone saw the obvious, Ben and Kenny didn't have a great relationship. Kenny blamed Ben for the death of his wife and kid. When Ben flipped on him in the backyard Kenny saw that he was wrong and didn't look at things from Bens perspective. 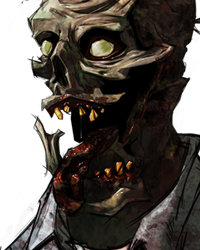 Bens biggest fear (stated multiple times) was being eaten by zombies. Kenny wanted to sacrifice his life knowing that he did something heroic so he locked himself in and the last thing he did was certainly a positive. Oh completely agree- which is why I think ultimately he will return (alive.) 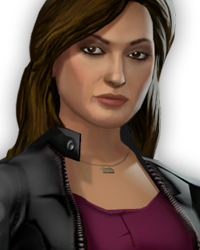 I think it was just a flaw by telltale in my opinion because the majority (according to the stats after the episode) decided to save ben and so they saw the scene with the alleyway. The building one I will give you credit there is a chance albeit small one that he survived. There are some good theories out there. I am convinced that he is dead in the Ben scenario, but in the Christa scenario, I think it… more's more likely he could escape the building (with a little luck) then use the sewers to avoid the lurkers on the streets and escapes Savannah. 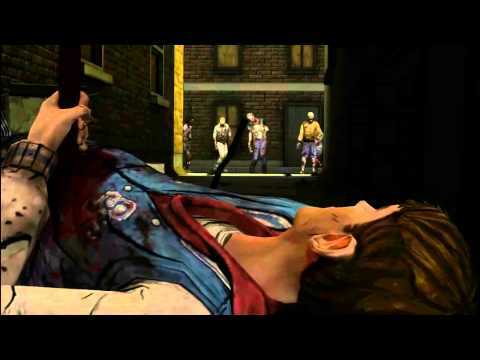 Granted, but Lee had more breathing room AND he had a cleaver (and a glass shard if you don't cut off the arm) whereas Kenny was in a very narrow ally with little to no breathing room and no weapon other than an empty gun. The environment can determine someone's fate just as much as the number of lurkers can. Who would read the forums before playing the game? No I'm talking about what if a person who just signed up and didn't play the game yet clicks on the link? They will have spoilers. Little do we know that TTG actually stands for "Trolling Troll Games". 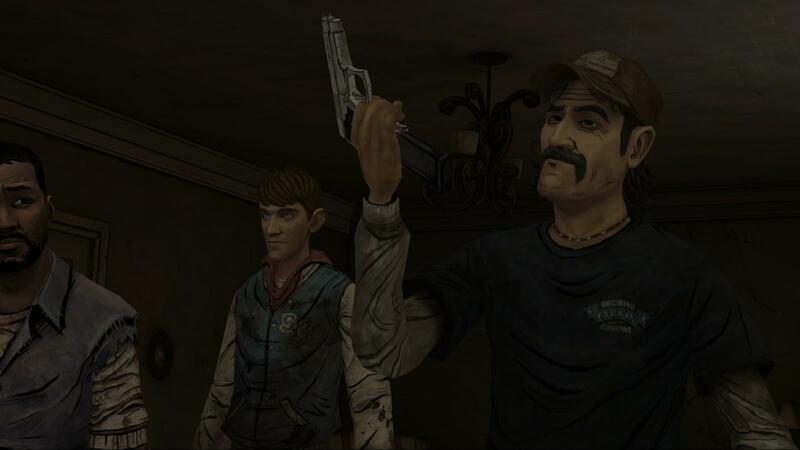 I think it's safe to say Telltale's got something in store for Kenny. There's been too much controversy and debate about the character since NO TIME LEFT for them to leave Kenny out of S2 entirely just for the sake of trolling. Granted, but Lee had more breathing room AND he had a cleaver (and a glass shard if you don't cut off the arm) whereas Kenny was in … morea very narrow ally with little to no breathing room and no weapon other than an empty gun. The environment can determine someone's fate just as much as the number of lurkers can. She probably couldn't believe her eyes. Im sorry but Kennys Dead. Why does Christa and Omid ask if kenny was alive or not when they were on top of the building looking down… more they would have the perfect angle looking into the alley. When Lee climbs back up it shows Christa looking down towards the group of walkers on top of Ben so i know she saw what just happened but asks about what happened to Kenny which doesn't make any sense. The only way Kenny escapes is that Christa and Omid were so blind and didn't hear or see the walkers coming. They just didn't care enough to watch what was going on. <----- Link to the video where it clearly shows this. HAHAHA a YO MAMMA joke. Classic. I remember using those jokes. Then I graduated middle school. Im sorry but Kennys Dead. Why does Christa and Omid ask if kenny was alive or not when they were on top of the building looking down they would have the perfect angle looking into the alley. When Lee climbs back up it shows Christa looking down towards the group of walkers on top of Ben so i know she saw what just happened but asks about what happened to Kenny which doesn't make any sense. The only way Kenny escapes is that Christa and Omid were so blind and didn't hear or see the walkers coming. They just didn't care enough to watch what was going on. <----- Link to the video where it clearly shows this. If she seen Kenny die then why would she ask was he dead, she didn't see him get killed so she asked Lee did he see him get killed,if anything that gives more credence to the he might be alive theory. 1) First choice after the events there is an option for "They're gone" implying multiple people. 3) There is an option for "maybe he got away" after that - Has anyone chosen this option ? ? ? What is the response ? ? ? If Christa replies or Lee says something after that implies Kenny may have gotten away, well there you have it - the first SOLID evidence you Kenny fanboys have. Maybe you could push through them, I mean lurkers are clumsy, but not that clumsy; when they are by human flesh, they get determined. In season 2, lurkers grabbed at Clem's arms, legs, hair. Hell, some even lifted her up and bear hugged her to get to her neck. Still, pushing through them would be of extremely high risk (a lurker grabs your leg, you fall, and the lurkers pounce you for example) and I think him escaping another way would be more logical or plausible. People in The Walking Dead Universe get out of impossible situations all the time. Tyresse is surrounded by walkers with nothing but a hammer, and he didn't even try to get away. Kenny's goal was to run, Tyresse's was to kill ALL of them. But he lived. I'm confused why Kenny locked himself behind the fence? Anyone know? Simplest explanation, he just ran through them, which is entirely possible. Rick runs through a group of walkers with nothing but an empty gun in Season 3 of the TV show. 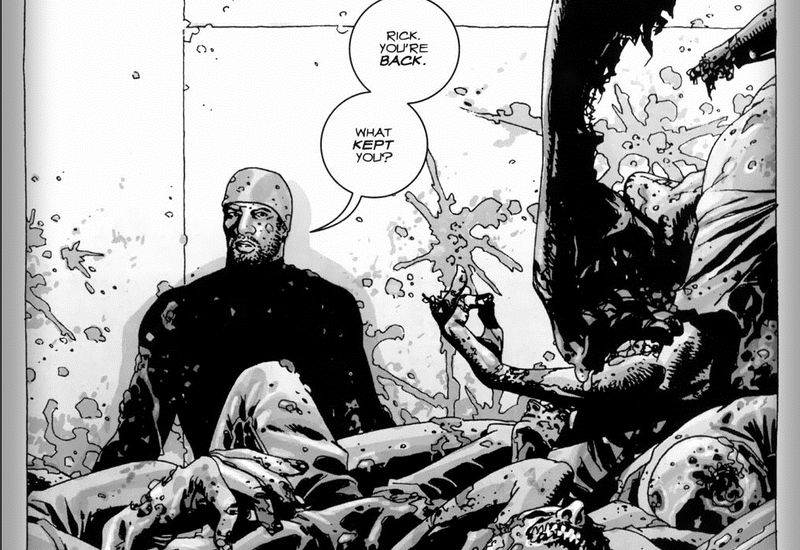 Tyresse literally has walkers climbing on him in the comics, etc. There's no reason to believe that Kenny couldn't have just run through them. Oh completely agree- which is why I think ultimately he will return (alive.) I think it was just a flaw by telltale in my opinion be… morecause the majority (according to the stats after the episode) decided to save ben and so they saw the scene with the alleyway. The building one I will give you credit there is a chance albeit small one that he survived. Again, Kenny is pretty magical, but not enough to push over one lurker to create an entire domino effect to knock over all the lurke… morers and create an open passage way for him to walk through. I've tried to push just one person, and that's difficult (Though I am pretty puny) so trying to push through 20+ lurkers just isn't going to happen. 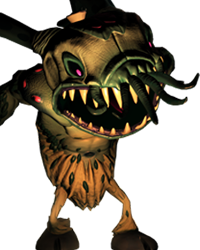 And I quote from my last comment: Maybe you could push through them, I mean lurkers are clumsy, but not that clumsy; when they are by human flesh, they get determined. In season 2, lurkers grabbed at Clem's arms, legs, hair. Hell, some even lifted her up and bear hugged her to get to her neck. Still, pushing through them would be of extremely high risk (a lurker grabs your leg, you fall, and the lurkers pounce you for example) and I think him escaping another way would be more logical or plausible. Lee just says "Maybe he got away..." in a very depressed voice, and Christa and Omid just look at each other and say nothing. HOWEVER in the Christa version, you can tell them that Kenny is dead, while Christa asks if he could have gotten away. HOWEVER HOWEVER if you also say that he might have gotten away, despite Lee sounding more determined and angry, Christa also says that's it's possible he didn't. I think there are some pretty interesting dialogue options after the scene: 1) First choice after the events there is an option f… moreor "They're gone" implying multiple people. 2) Christa says "you saw they die" then Lee responds "nobody was getting out of there". . . BUT 3) There is an option for "maybe he got away" after that - Has anyone chosen this option ? ? ? What is the response ? ? ? If Christa replies or Lee says something after that implies Kenny may have gotten away, well there you have it - the first SOLID evidence you Kenny fanboys have. I said that, as I never believed that Kenny died. They don't say anything, Christa and Omid just look at each other like they don't quite believe Lee, and then, for me anyway, Christa says something along the lines of "Look, we know Kenny was your guy but..." This was probably only because earlier, I had said I wanted Kenny to look after Clementine. And again, he could've just pushed through the walkers, and as for Christa not seeing anything, maybe she wasn't looking the whole time, and only went to look after Lee was climbing back up. But maybe at that point, he'd already ran away. There's no reason to say there must've been a manhole or a window, because characters in TWD universe just push through herds all the time, and yes, I do mean ALL THE TIME. Examples: Tyresse(walkers were climbing ON TOP OF HIM. Really, he should be dead), Morgan, Rick(in a similar situation where they were completely surrounded and there was only a little bit of breathing room), Abraham, and Carl in the comics. Rick(Also with only an empty gun as a weapon), Tyresse, Bob, Daryl, Michonne in the TV show. Brian, Phillip, Nick, and Penny in the book The Rise of the Governor. Also, in the book, it was an incredibly similar situation. In an alley, the herd coming form both directions. They just pushed through then turned a corner and ran. For peeps sake Lol are people that stupid? TTG has already confirmed Kenny is alive Lol. All because they said his fate will be discovered in season two does not mean he's dead. They mean that the decisions you make in the game will determine if he lives or dies when he comes in the season. Plus did anyone even notice or realize Kenny could have got captured by The Stranger. Why? Look closely at the gun he's holding. That is the gun Lee gave to Kenny. 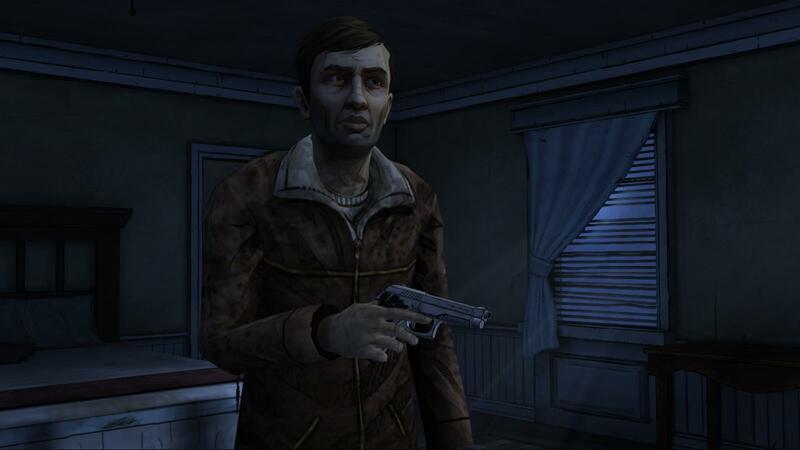 Plus it is possible the stranger put Kenny in the room he was hiding in and Kenny Escaped when Lee and Clem left. Two he put Ben out of his misery so that he could draw walkers to him. That was Ben you here screaming. Three Kenny still would have got captured by stranger if you see Kenny down there. Three Molly could have saved Kenny from the walkers using Hilda. Four possibility saved by one of the people from 400 days. Also remember stranger had a son but he did not know where he was? I think the person Lee saw at the gate was strangers son. Why because stranger was too busy with Clem at the Hotel and he mentioned he never seen where his son went. Only thing stranger knew was his wife and daughter were killed. And yea these are spoilers... I thing stranger showed Clem a pic of his son thinking he was dead. strangers son could be who she thought was dead... so yea stop saying Kenny is dead because he's not. I agree with you, Zyphon. I don't understand why Walking Dead fans are willing to accept Tyreese surviving his predicament, but yet refuse to with Kenny when they were both in similar situations. Why is it acceptable for someone like Tyreese to come out unscathed, but people scream about how Kenny couldn't of realistically survived? For the christa version I agree it is highly logical kenny could have survived. We dont see how many walkers are in the room, and there could be plenty of options to escape. However I just dont think it makes any sense for him to have survived the Ben version. Kenny chooses to lock himself in with the zombies when he could have just shot ben, he even says if you ask him that he'll either talk to Kat again or save Ben. He then runs offscreen where the walkers are about to reach Ben. I fail to see how Kenny had enough time to escape there were dozens on either side of him. A lot of people have talked about Tyreese but he was the second best melee fighter and probably the strongest guy the group ever had (not to mention he actually HAD a weapon), Kenny gets beat up by larry and Lee easily (kenny only wins if Lee lets him because he feels sorry for him), not to mention his gunshot wound. Also I'm sure it shows a walker lunging at Kenny and you hear a crunch sound then he looks at his arm in horror before running offscreen. I've added a Spoiler warning to the thread title. You're right - that should have been there from the beginning. Thanks for bringing it up. I wouldn't even label myself as a Kenny supporter, I liked him and all (he was the broest of all bros) but I'm not on the edge of my seat waiting for his appearance in season 2. That being said, his fate was left VERY open ended. In the Ben alleyway scene, you can see him running away, and in both scenes, you never hear any sounds that could 100% be his death. Struggles, yes, but not a death by any stretch. The fact that Telltale said themselves that his fate would be explored, and pairing that with all the clues that he didn't die in those scenes makes me believe he'll make an appearance, one way or another. Not to mention the awesome guy that extracted files from s2e1 that included one file named "kenny202". It's not just wishful thinking, there's a lot that says he didn't die in the scenes we were shown. 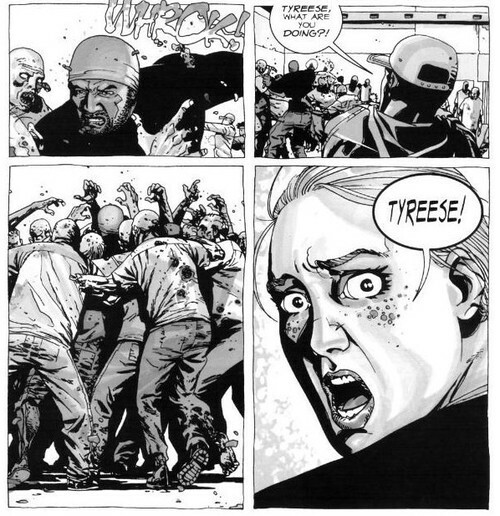 Kenny, being extremely angry fights through the horde after saving Christa / trying to save Ben. We know it's possible for people with a lot of anger to survive seemingly impossible encounters (think Tyreese), and like Kenny himself said: "I've got a lot of pain inside of me, Lee. I'd like to get at least some of it out." He gets covered in gore, like Lee did, allowing him to freely travel through Savannah. Now, he knows the rest is going towards the Marsh House. It's pretty hard to miss. So he enters the Marsh House, where the Stranger gets the jump on him. Kenny is knocked unconscious and placed in the adjoining room, at which point the Stranger hears Lee entering and, well, we all know what happens then. So, here's some actual proof to back this up! 1) You can hear something falling prior to entering the hotel room. Additionaly, if you listen at the door before entering the room, you can very clearly hear something being dragged around. Pretty self explanatory. You can hear the stranger dragging something into the adjoining room. Could be anything really, but it really sounds like a body, or an unconscious person. 2) There's something fishy about the adjoining room. Some players may have noticed this, but the game heavily implies that there could be something behind the door, but that in your rush to leave Savannah, you miss it. Unlike any other "invisible wall" door, you can actually interact with it, but can't open it because Clementine eggs you on to just go. It really intrigued me the first time around. I initially thought it would be the Stranger's zombified daughter, but I felt it really didn't make sense from a narrative perspective to just not show it. If it were the Stranger's daughter, why wouldn't we be allowed to see it? 3) The Stranger is wielding Kenny's gun. It really astonished me how many players, including me, missed this one. I never, ever see this mentioned anywhere. Check it out, here's Kenny wielding the gun, and here's the Stranger's gun. Looks pretty damn similar. In fact, it's the same model, up to the scratches on the barrel. For the record, this is the gun that Kenny takes off the couple that committed suicide in the bedroom. In both the Christa and Ben instance, he uses it to fight the horde. I think this is the most telling evidence that Campman and Kenny met. Now, the gun may be a coincidence, but it's just so implied that there's something in the adjoining room. And to be honest, it really does make the most sense for it to be Kenny. Why else would they add that mysterious stuff in? Just like, why else would they say he was "lost to the horde" instead of died if he really just got eaten? And there's something else! As you and Clem leave the hotel room, the camera pans onto Lee's forgotten walkie-talkie! The very distinct one, with the stickers on it. It seems like the perfect closure for Kenny. He wakes up in the adjoining room, and the Stranger's body and Lee's walkie-talkie tell him that he has succeeded! The deal with Kenny is that he still blames himself for the death of Hershel's son. Like he says in Episode 3 if you talk him down, he thinks that Duck's death is his punishment for putting another man's son in the ground. 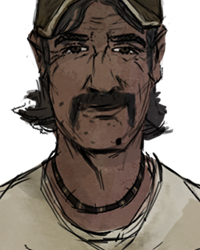 Now, by reuniting Lee and Clem, he has basically redeemed himself, since he reunited a man with his family, so to say.